If there was one thing I thought I'd never do is write like a millennial. But I guess there's a first for everything, and this time, thanks to SmartGames and the brilliant design skills of Raf Peeters I'll be writing like a 16-year-old with their first crush. Joking aside, stick around, because this one is worth your time and money...like any other from SmartGames. For anyone that has been absent from planet Earth since the past 20 years or so, XOXO means hugs and kisses. 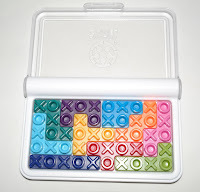 What some of you may not know, at least I didn't, is that X is for kisses and O represents hugs. Also, contrary to popular belief, the X has been used to represent kisses since medieval times. Not a recent internet fad. What is quite recent though, is the game by Raf Peeters, IQ XOXO. 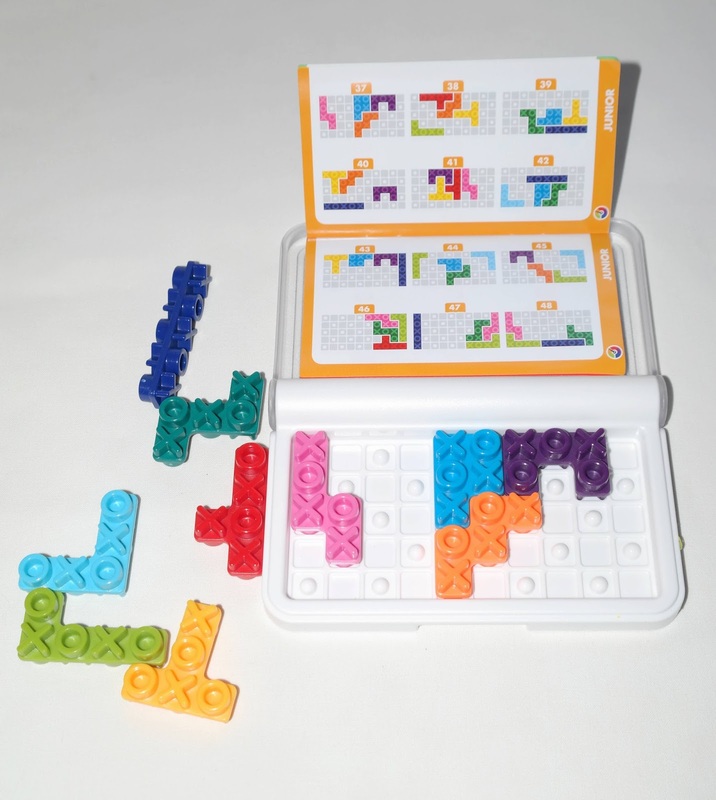 This is a brilliant twist on the traditional pentominoes puzzle game, which has been around for the past few decades (introduced by Martin Gardner in 1965). 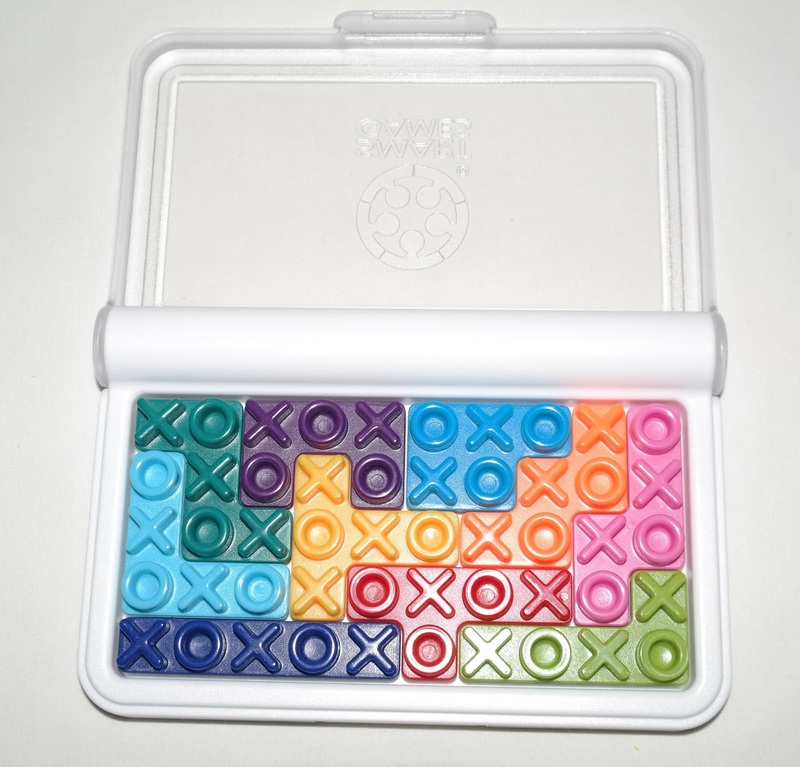 The game features 10 different pentominoes, but instead of the usual flat surface, Raf introduced the theme XOXO and used it on each of the pentominoes double-sided pieces. 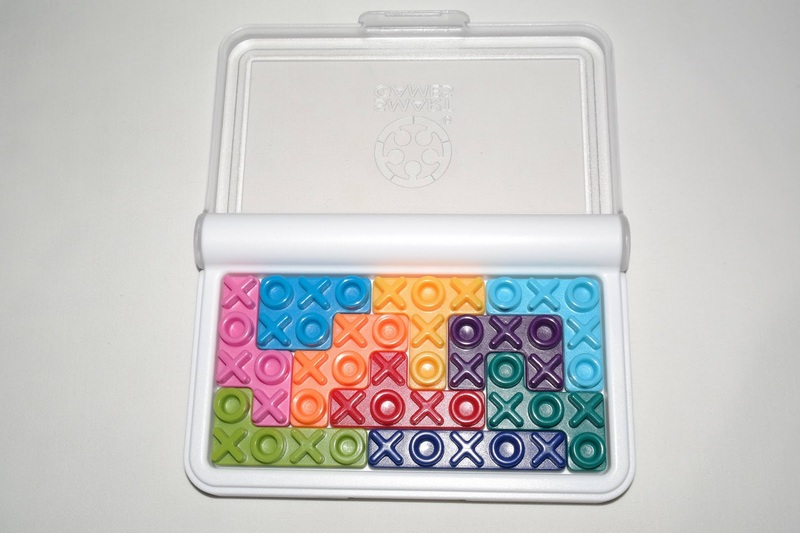 A careful inspection on each piece will find that there's an X on one side and an O on the opposite side. Another neat surprise is revealed when you first remove the pieces from the game board. At alternating intervals of 2 units the board has a small dome that fits perfectly in the O's on the pieces. That's when you realize that you can't solve the puzzle any way you want. There's a rule that you need to follow, so not every piece can fit on the board with every possible position. 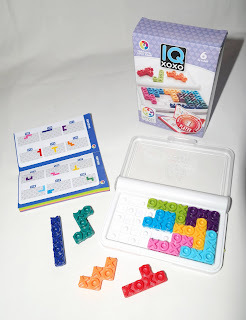 As any other IQ game, the rules are simple: set up one of the provided 120 challenges and try to fit the remaining pieces on the board. 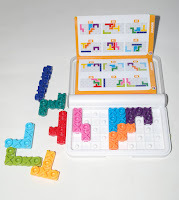 The more advanced a challenge the less pieces it will show at the starting position. 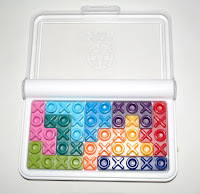 The finished puzzle will have a nice pattern of alternating X's and O's on the horizontal and vertical lines. Curiously, the diagonals will have repeating X's and O's. 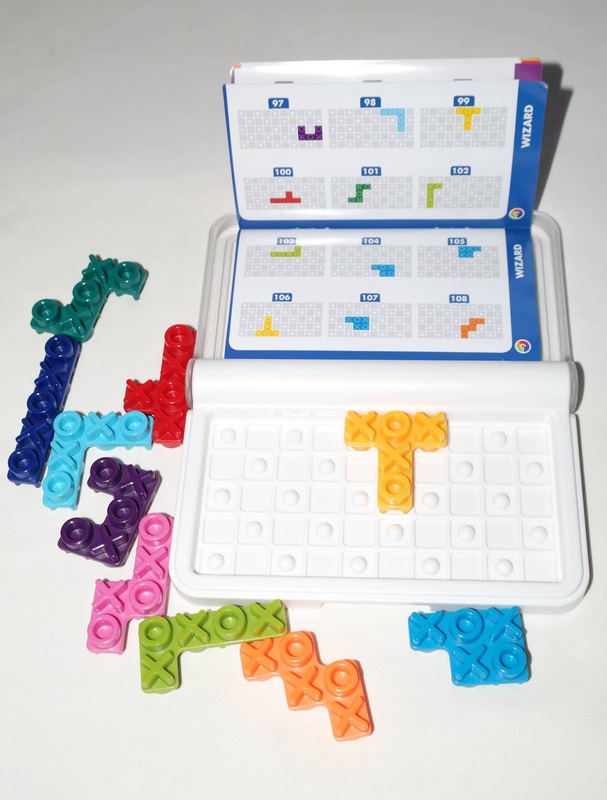 All ten pieces have a distinct color so it's easier to identify them when you're setting up the challenges. I love packing puzzles. They are some of my favorite puzzles. Because of this, I particularly enjoyed the IQ XOXO and the clever twist it made on such a beloved concept. 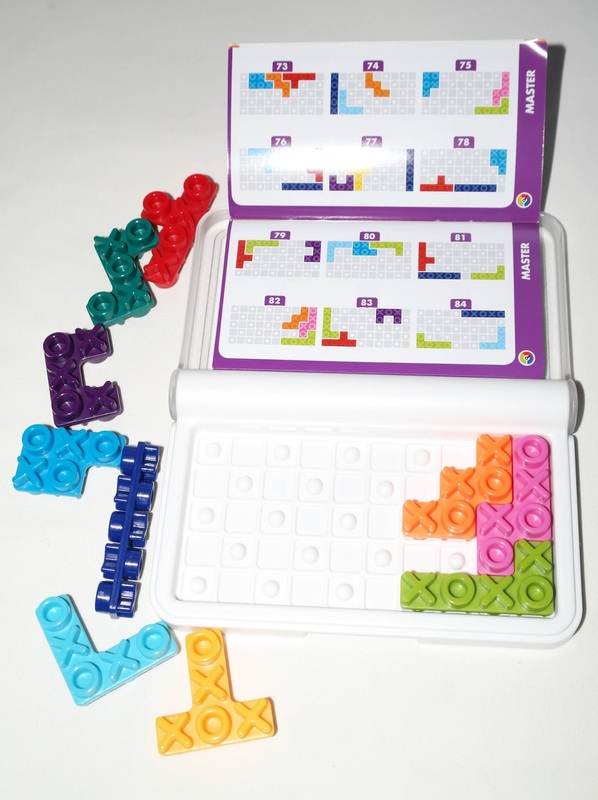 If there's a perfect gift for a young and curious mind, this has to be a great candidate for that. We need more ideas like this to pass the time, instead of the screen devices that control our lives nowadays. Availability: You can find the IQ XOXO and many others from SmartGames at any major toy store or Amazon.